Wilmington officials have worked diligently in recent years to bring the Delaware city’s once-crumbling downtown back to life. Their efforts are starting to pay off. Restaurants, bars, residences and shops dot the 12-block stretch that had been filled with vacant or rundown storefronts. As of this Friday, if you’re within a specific, 39-block area of Wilmington, Del., you can tap a mobile app and have an electric golf cart scoop you up and take you where you need to go. 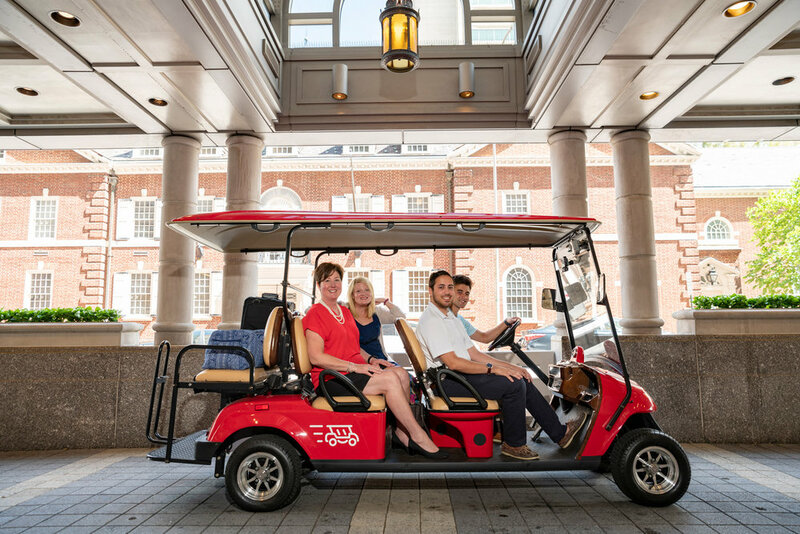 Buccini/Pollin Group and the University of Delaware's Horn Program have collaborated creating the WilminGo golf cart that will transport people around the N. Market St. area. Jennifer Corbett, Wilmington.